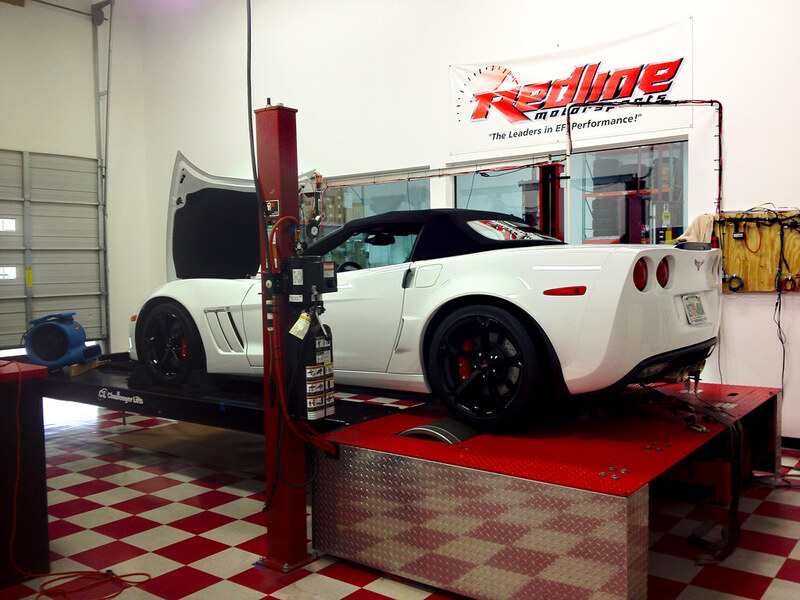 Redline Motorsports just took in a customers 2013 convertible Grand Sport with 213 miles. They baselined the car and will start on the motor swap and supercharger install this week. They will be using the new Edelbrock 416 longblock and the E-Fforce 599 kit. This is for a Vette magazine article so they cant disclose everything but click here to learn more about the build or you will have to wait till the magazine hits the newsstands!